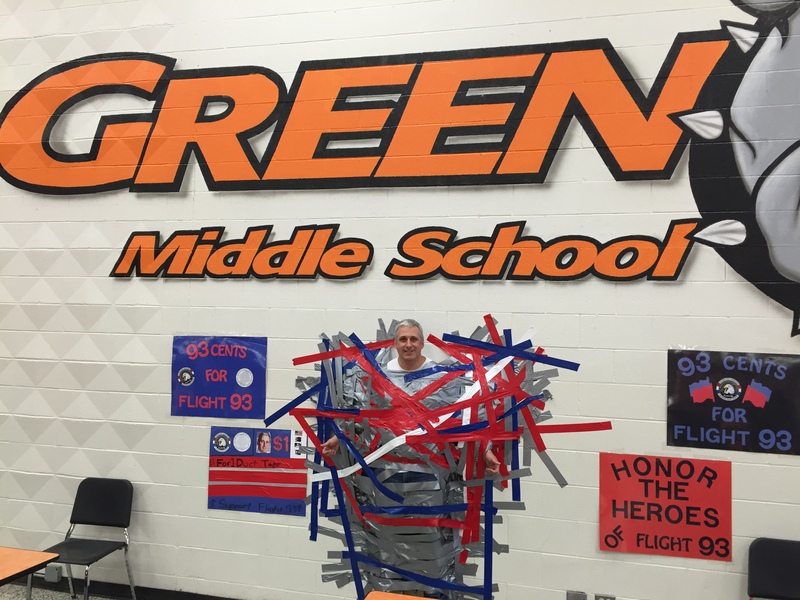 This past Friday, October 30th, Green Middle School students continued fundraising efforts for Flight 93. Students who donated $1 received a piece of Duct Tape to tape school Principal Jeff Wells to the wall! Students also continued fundraising efforts by selling 40+1 t-shirts as well as asking for donations at the schools Chili Supper. We are so grateful to GMS for all of the efforts they are taking to keep the memory and awareness of United Flight 93 alive! May we all continue to remember the courage, sacrifice and heroism of the Flight 93 passengers and crew.